This 1979 Chevy Monte Carlo is close to my heart, as we owned my late father-in-law’s ’79 for a few years early in our marriage. 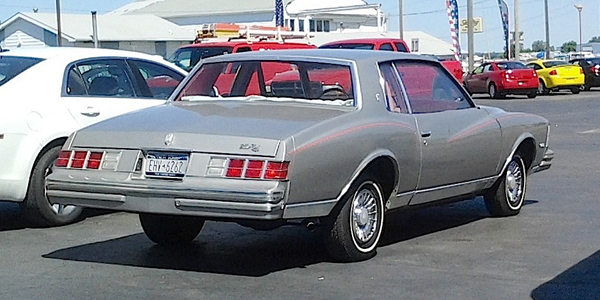 Of course, unlike this silver example seen recently in North Tonawanda, ours was more of a “poo brown” in color, but it was a great car to drive around in! Sold it to a guy at work in 1990 who drove it for another year or two. Jim Corbran, RRofWNY Check out our new Facebook page: LuvTheCheapies The post RealRides of WNY appeared first on Buffalo Cars.